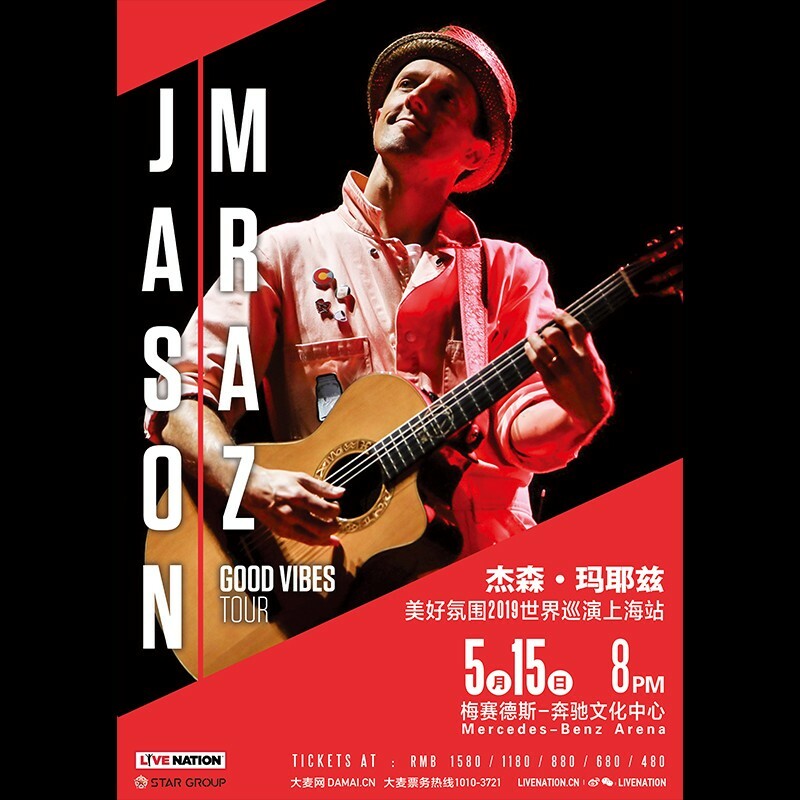 Multiple Grammy Award winning artist Jason Mraz is bringing his Good Vibes Tour to Shanghai. The exclusive one-night only concert will take place at Mercedes-Benz Arena on May 15. Tickets go on sale on Friday January 18 at 10am. The California-native came onto the scene the early-2000s and quickly became known for his soulful folk-pop. Throughout his career, Mraz has earned numerous platinum certifications for his various releases, made pop history with his record-breaking singles, ‘I’m Yours’ and ‘I Won’t Give Up,’ won two Grammy Awards, received the prestigious Songwriter Hall of Fame Hal David Award, and sold out amphitheaters and arenas across the globe. He’s also become known for his positive message and upbeat tunes and humorous live shows. The tour follows the release of Mraz’s sixth studio album Know back in August. It’s now his fifth consecutive studio album to debut in the Top 10 of the Billboard 200. To book your tickets visit the e-ticket site.